This display brings together a selection of maquettes and sculptures by Andrew Rogers, an artist deeply inspired by the structures, materials and implicit rhythms of our built and natural environments. Growing and Flora Exemplar suggest the sinuous forms of leaves and flowers that swell, coil and curve with latent energy. Rhythms of the Metropolis embodies a similar sense of tension in the feverish ribbon fall and loose upward arc of opposing rhythms held in careful suspense. I Am, one of several proofs and versions of this work, is a generative form that bristles then delicately unfurls, revealing a supple surface beneath a rigid exterior. 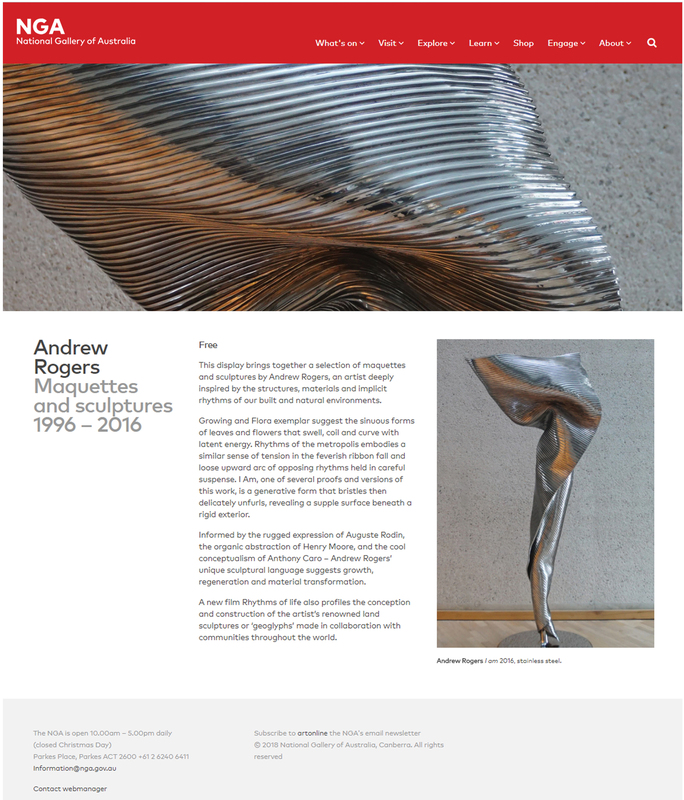 Informed by the rugged expression of Auguste Rodin, the organic abstraction of Henry Moore, and the cool conceptualism of Anthony Caro – Andrew Rogers’ unique sculptural language suggests growth, regeneration and material transformation. A new film Rhythms of Life also profiles the conception and construction of the artist’s renowned land sculptures or ‘geoglyphs’ made in collaboration with communities throughout the world.